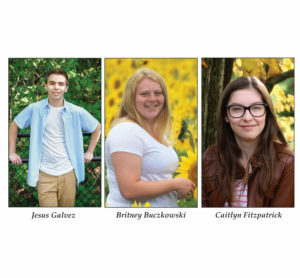 Valedictorian Jesus Galvez, salutatorian Britney Buczkowski and honor student Caitlyn Fitzpatrick are named at the forefront the Onaway High School (OHS) Class of 2019. Fifteen total honor students lead the way for the class that will graduate May 26. Galvez (4.00) is the son of David and Darby Harrington. After graduation from OHS, Galvez plans to attend the University of Michigan college of literature, science and the arts as he plans to major in the sciences. Buczkowski (3.9059) is the daughter of Ron and Tracie Buczkowski. This fall Buczkowski plans to attend Delta College to work towards her associate degree in science before transferring to a university. Fitzpatrick (3.8765) is the daughter of Barry and Susan Fitzpatrick. After graduation from OHS, Fitzpatrick plans to attend Alma College. 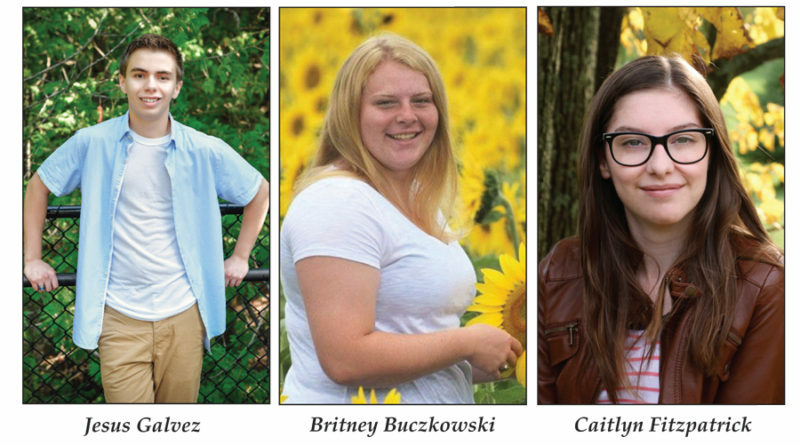 Profiles and photos of all the honor grads are in this week’s edition of the Advance.